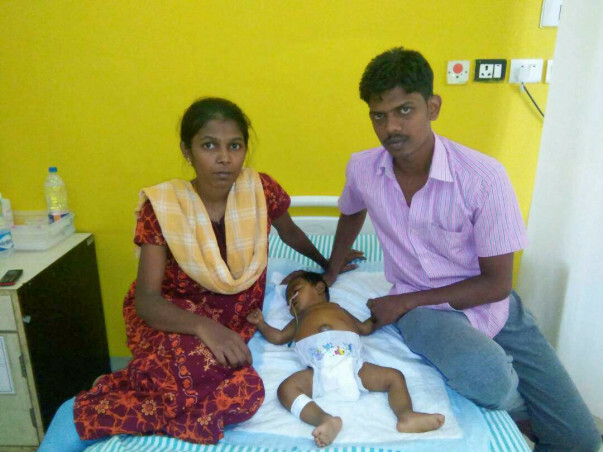 For Manikandan and Muthulakshmi, the past few months have been a nightmare. They had a baby boy on September 7th 2016, but the joy was short-lived as he was diagnosed with Biliary Atresia. 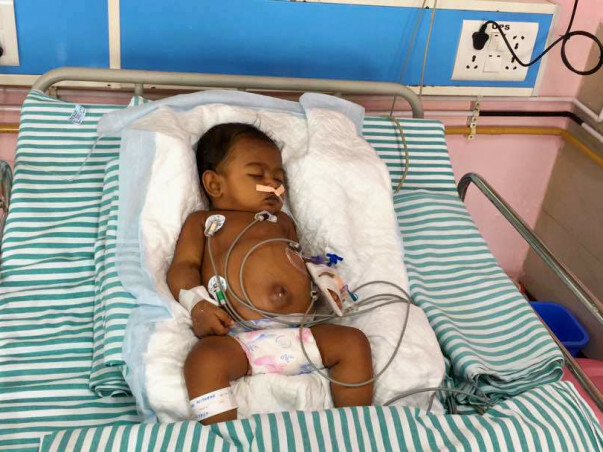 Today, Baby Mithra is fighting for his life with acute chronic liver failure and needs an emergency liver transplant at the earliest. 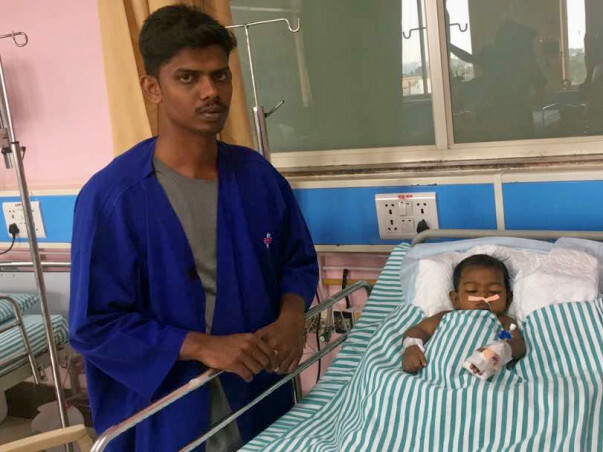 Originally from a small village near Thirunelveli, Manikandan is now shuttling between Bengaluru and his hometown every few weeks in hopes of saving his son’s life. It all began when the doctor suggested that their baby had jaundice right after he was born. Manikandan was working as a lecturer for over a year. 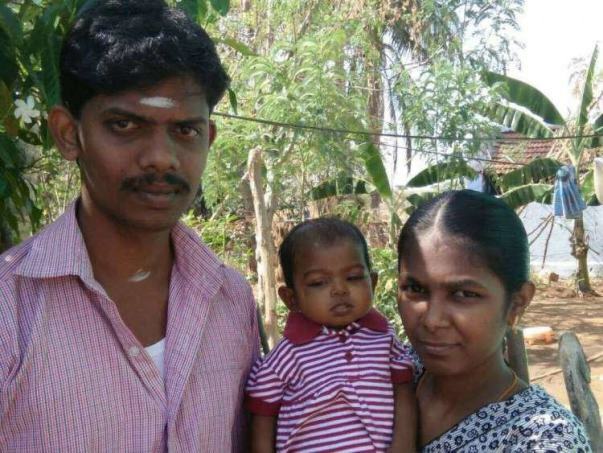 Right when Mithra was diagnosed, Manikandan’s father had a stroke affecting his left side. He had to take a leave of absence from work to care for his father, and extend the same to care for his son. Eventually, he was forced to quit his job. Now, he is dependent on his older sisters to care for his family. Every few weeks, Manikandan brings his son to this city for a followup. Unfortunately, last week, their bus collided with a lorry, injuring several passengers including Manikandan and his family. 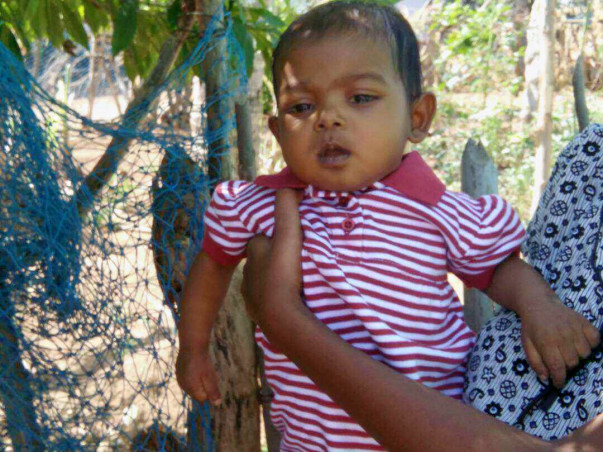 Manikandan has been matched as a donor, and Mithra will be cleared for surgery once he recovers from the injuries. Muthulakshmi is by his bedside 24x7. These parents are grief-stricken over the fact that they cannot hold their child. Muthulakshmi’s condition does not allow her to embrace him, so she just holds his hand to feel better and make the baby feel safe. Manikandan is not just in emotional turmoil but is also going through financial difficulties of having to pay for the transplant without which his son will lose his life. He has spent over Rs. 3 Lakhs so far by mortgaging their house and selling all of his wife’s jewellery and is now out of resources. He needs over Rs. 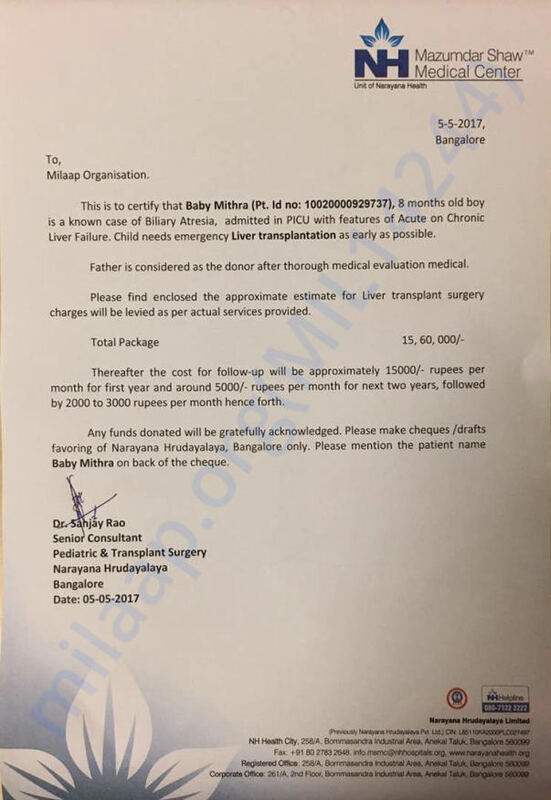 15.6 Lakhs for Mithra’s liver transplant and has nowhere to go for help. You can help change Manikandan’s fortune. Life doesn’t seem to give him a break. You can choose to not only save his son’s life, but also change his entire fortune. Your contribution is the chance Mithra is waiting for, the chance to survive and grow up into a healthy young man. Thank you for coming forward to help little Mithra. His transplant was planned for today and all the preparation were underway. But unfortunately, he suffered a cardiac arrest yesterday night. Really saddened to inform you that Mithra is no more with us.We pray for the family in this time of grief. May the little one's life soul rest in peace. The family needs to settle the bills and finish other formalities in the hospital. Funds raised till now will be of great help to them in this difficult time.Thank you for the support and prayers.